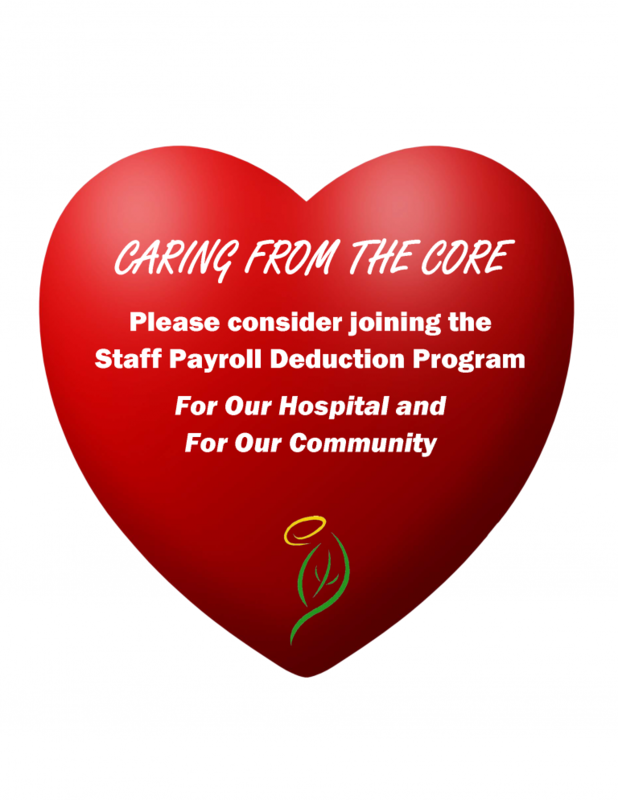 The Pembroke Regional Hospital Foundation supports programs and services integral to the advancement of health care and the total well being of the citizens of Renfrew County, by raising, managing and distributing funds to the Pembroke Regional Hospital. 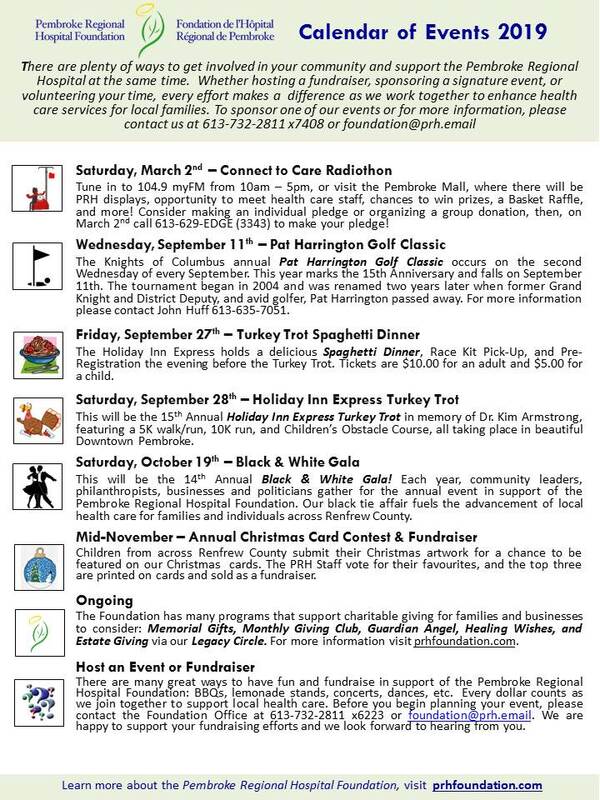 The PRH is your local hospital, and the Foundation has been recognized as a leader in the not-for-profit sector, previously winning the Chamber of Commerce Community Organization of the Year award. 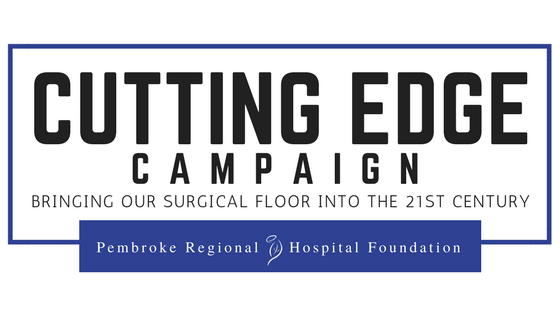 The Foundation has celebrated many successes with the most recent being the completion of the MRI...Image Matters Campaign. Applicants should be prepared to make a commitment for a three year term. Ideal applicants will have knowledge, experience, and enthusiasm that will enable them to contribute to the Foundation. 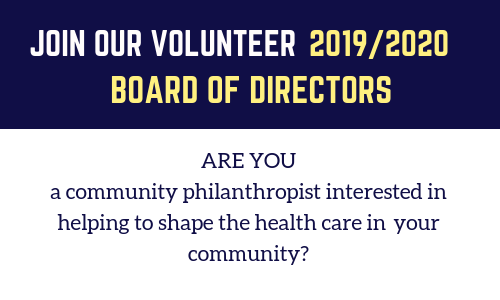 Please fill out the application for PRHF Board Appointment below, and submit it to foundation@prh.email by April 15th 2019.